This is a revised and updated new edition of a classic text which offers a broad ranging and authoritative history of British social policy from the Industrial Revolution to the present day. This is the best historical introduction to the past and present of the Welfare State, widely regarded as a classic in the field. It is now updated to cover the Blair and Brown years, and revised to take into account the latest research. This book features an extensive bibliography with over 100 new entries for the fourth edition. 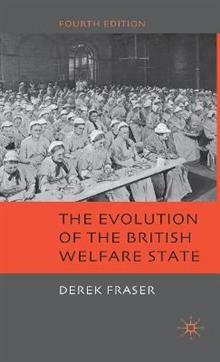 Derek Fraser's book has established itself as a classic text on the history of social policy and social ideas in Britain since the Industrial Revolution. This fourth edition features a revised introduction, incorporates the latest research and extends the coverage of the final chapter, bringing the story right up to the present day.